Feel secure under the watchful eyes of nnenn’s security bots! LEGO creations by nnenn certainly don’t lack for color. 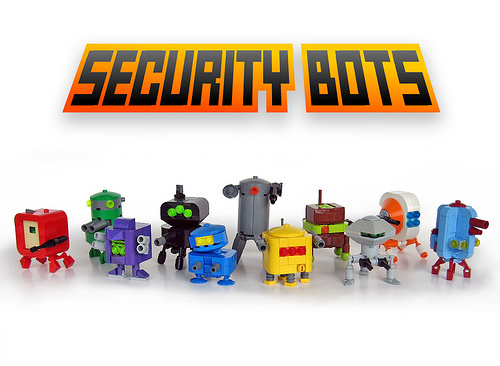 His rainbow of security robots are simultaneously adorable and formidable.